Fantastic Beasts: The Crimes of Grindelwald Review | Lacking in magic. Magic is the consequence of imagination. I mean that both figuratively and literally, in the sense that the concept of magic was a result of people imagining it, and that for many years, the imagery of magic was left almost solely to the imagination. Computer generated imagery has changed that a bit when it comes to cinema, and though ‘wizardry’ is a term that we often hear in relation to Hollywood special effects, the advent of CGI has arguably waned popular cinema’s hold over our imagination. Whereas once we wondered how the magic was done, now we all know that it is accomplished with computers. J.K. Rowling’s Harry Potter book series, an overwhelming force of fantasy imagery and invention, has always suffered to varying degrees in its translation from page to film. Rid of its natural habitat, the imagination, Rowling’s magic has always been rendered less bright on screen. What actor can live up to the presence that Albus Dumbledore casts in Rowling’s book, especially for someone with the vivid mental resourcefulness of a child? I haven’t read the Harry Potter books for a long time. I was in primary school when I first came across Harry Potter and the Philosopher’s Stone and had well and truly finished high school by the time Harry Potter and the Deathly Hallows was released. That was over ten years ago. The reason I mention this is because it’s entirely conceivable that were I to reread the series, as a thirty-one year old man, I may not find them as grippingly enchanting as I once did. Certainly, Fantastic Beasts: The Crimes of Grindelwald, failed to engage me on most levels. The film is the second in the prequel series to the Potter story. 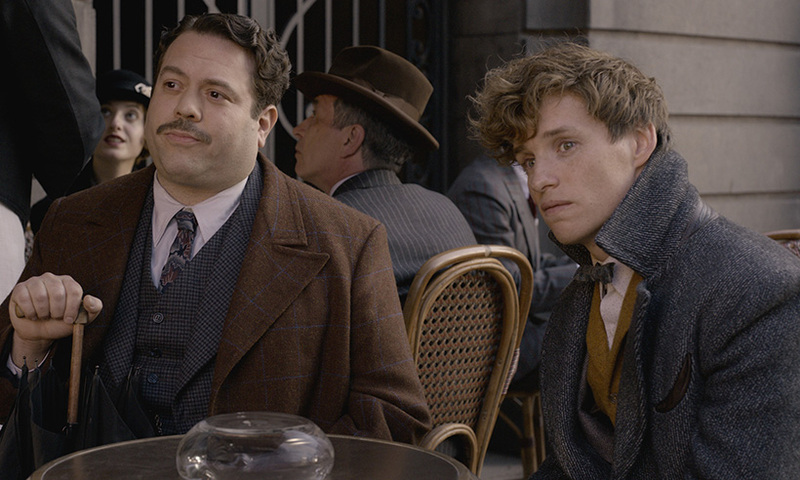 The original Harry Potter films were not scripted by Rowling herself, but these two new ones have been. Whether her books would have the same effect on me now or not, I’m inclined to believe that Rowling is running out of interesting ideas and characters. In lieu of inspiration, creative disarray has emerged triumphant. Plotting also, has never been Rowling’s strong suit, even over the course of her initial book series. Once the saga opened up from the self-contained narratives of the initial entries, bloat became a significant element of her writing. 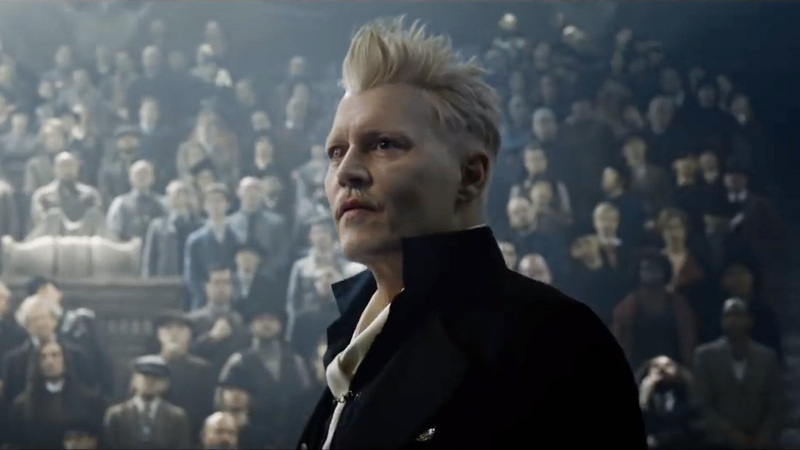 The Crimes of Grindelwald is a mess, primarily at a script level. One of Alfred Hitchcock’s many famous quips was “To make a great film you need three things – the script, the script and the script.” His sentiment has been echoed by many very capable directors. The failings of Rowling’s script for The Crimes of Grindelwald is palpable. It seeps into almost every other element of the film. There is a sequence, about three quarters of the way through The Crimes of Grindelwald, in which a number of characters chase after a piece of crucial information that is hidden somewhere deep within the French Ministry of Magic. We are not informed why that information is there, but it’s undeniably convenient considering the characters are already in Paris. The film also doesn’t do much in regards to conveying why the information is so important, beyond one character’s meagre motivations. I bring this up because this part of the film is indicative of the chaos which Rowling has imbued her script, in regards to both narrative and character development. The sequence is over almost as soon as it has begun, serving essentially no perceptible function other than an excuse for a scene in which characters break into the Ministry of Magic. That’s either lazy or overconfident writing, or both. It’s definitely bad writing. But the strength of Rowling’s world, the assets of her earlier works, are such robust assets that The Crimes of Grindelwald remains engaging on one significant level. That is the world itself, which despite the power of imagination losing out to the direct representation of computer imagery, is still an exciting feat of imagination. The cast is also largely appealing, despite being woefully underwritten. 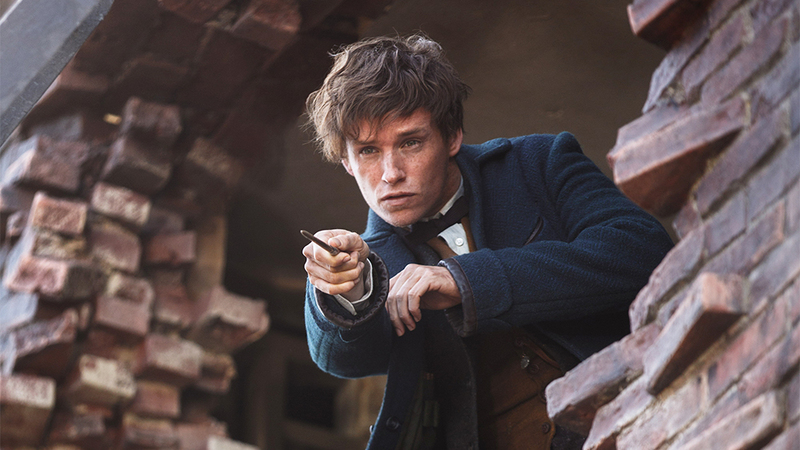 I mentioned in my review for the first Fantastic Beasts film that Eddie Redmayne is as perfect for the role of Newt Scamander as Harrison Ford was for Indiana Jones or Ian McKellen was for Gandalf and that remains the case. His character may never receive the film he deserves, despite there apparently being three more in this series still to come. Those films will undoubtedly be financially successful, but is that a worthy barometer of a film’s fundamental success? Of course it isn’t. From a fan’s perspective, Rowling would be better off leaving her world alone if her inspiration has run dry. That may be no easy feat for an author who has invested a considerable part of her being to the creation of the franchise, but she is currently operating under an unfortunate self-mandate of demythologisation. That’s something that the beloved Star Wars franchise has also been a victim of since it was acquired by Disney. It’s an unfortunate circumstance for fans of magic when the creators willingly tear that magic apart.